2012 renegade backcountry, 137 with 1”34 track. Skidoo works great, and has no problems. Ggb trail can Comes with stock exhaust! 2011 Backcountry 800 Etec in excellent condition. 6000 km. Skidoo has wrap kit, heavy duty rear bumper with hitch, x package shocks. All maintenance up to date including recalls. 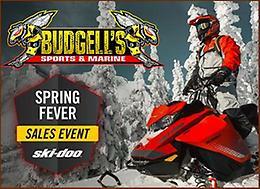 Im original owner and skidoo has been dealer maintained since new. New price!! 2012 MXZ XRS 800R Etec $5000!! 2012 MXZ XRS 800 etec. Skidoo is in excellent shape with 5741 kms. The skidoo has: -8 inch riser -dynoport big core barker can and also comes with the stock exhaust -electric start -Hand and thumb warmers -Rmotion shock adjusters on the tunnel -all KYB fully adjustable suspension that has been rebuilt and valved to a 600rs spec -inch and three quarter backcountry x track that has low kms -all runners and bearings were changed out when the track was installed -vforce reeds -all bushings were done when the suspension was getting rebuilt -grip and rip kit installed -comes with a brand new spare belt, gas caddy and cover -piston recall was completed a couple years ago at 4800 kms -C&A MTX white skis -LED headlights -has a 600rs air intake on the dash installed Very fast and fun skidoo! In excellent shape and has been serviced every year since new. Email for more details as I will be out of cell coverage for a while. Nearly all west coast kms on machine. $5000!! Needs gone! !